Top 10 plants for autumn colour. 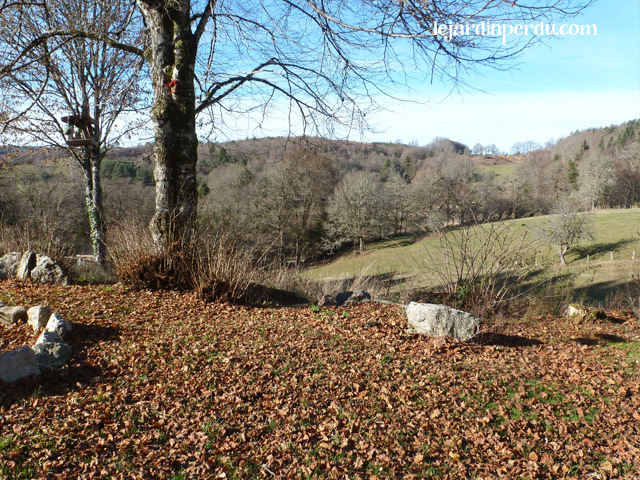 Here in France this autumn has so far been beautiful. 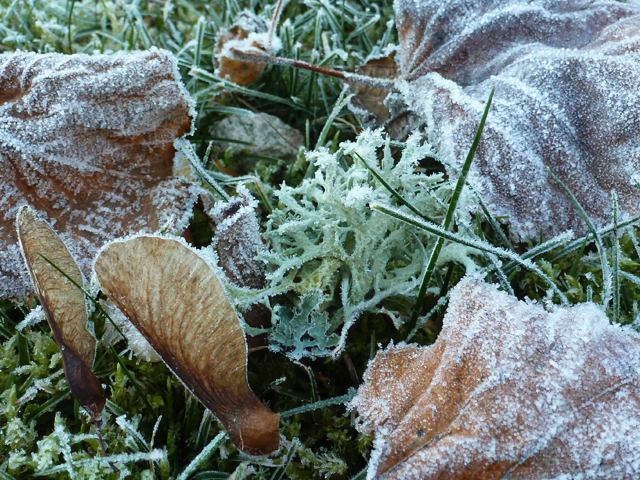 Frosty, blue skied mornings have been followed by lovely warm days. The trees have progressively turned magnificent yellows, oranges, browns, and have now finally started to litter the floor with a golden tapestry of leaves. Whilst here in the French countryside we certainly aren’t lacking in glorious colours, the gardens themselves are now starting to look a bit bare, so I’ve come up with my list of favourite plants to keep your garden full of bright colour from September well into November. 1. Cornus Alba ‘Sibirica.’ French name: Cornouiller blanc. Crimson red stems look vibrant against autumn frost and winter snow. 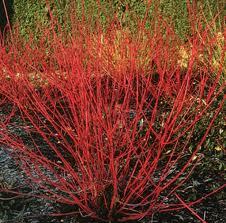 This deciduous shrub has dark green leaves and creamy-white flowers in May and June, but it is in autumn and winter when the leaves fall to reveal crimson red stems that the Cornus truly comes alive. 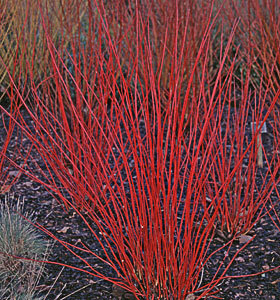 For the best effect plant Cornus in large swathes in full sun. For best colour results cut new growth back hard (5-7cm from ground) in March. 2. Rudbeckia fulgida, Coneflower or Black-eyed Susan. French name: Rudbeckie lumineuse. Imagine a sea of these vibrant, golden-yellow flowers in your autumn garden. Flowering from August through to November, they add a brilliant splash of late season colour. 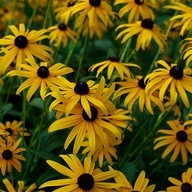 Rudbeckia performs best planted in full sun or partial shade, and in well-drained, heavy soil. Providing a valuable source of nectar to butterflies and bees, sedums have the added bonus of lending autumn interest to your garden. Deep pink flowers in summer mature through pinkish-bronze to coppery-red in autumn. The dried flower heads even provide structure and colour to the winter garden. 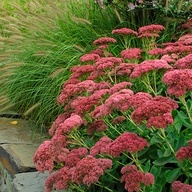 This Sedum performs best planted in full sun and in well-drained soil. A wonderful evergreen, herbaceous perennial which forms compact clumps of elegant, blade-like, arching leaves. In autumn wands of deep purple flowers emerge from the foliage which are followed by black berries. 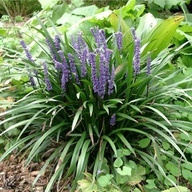 Liriope muscari is perfect to use as a border edging plant and will tolerate a range of conditions including dry shade. In autumn the tiny, creamy-white flowers of summer turn into scarlet berries encased in glorious bright red, paper-like lanterns. 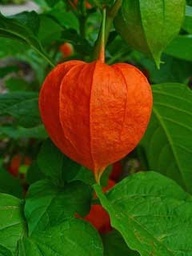 Happy in partial shade or full sun, Chinese lanterns are fully hardy and fast growing. This is the perfect plant to add a splash of daring colour to your autumn garden. Flowering from July to the first frosts, this perennial is the perfect addition to any sunny, well-drained border. 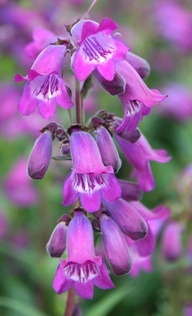 The magenta-blue, foxglove-like flowers have a metallic glow, which shimmer in the autumn sunshine. Growing to 60cm tall the Penstemon will quickly form large, leafy clumps. With regular dead-heading the flowers will continue well into November, providing a vital source of late season nectar for bees. 7. Berberis thunbergii atropurpurea. French name: l’épine-vinette de Thunberg. This is a stunning honeysuckle which produces scarlet, trumpet-like flowers from July to late autumn. In hot summers the flowers are followed by red berries. Although not scented, this semi-evergreen honeysuckle (deciduous in colder winters) has blue-green leaves which provide handsome cover for pergolas and walls. The honeysuckle is best planted in sun or partial shade, and in moist but well-drained soil. This lovely, virtually evergreen shrub will add autumn and winter colour to your garden. Green, copper tinged foliage emerges in spring which gradually turns a bronze-red in autumn. These leaves will in the main stay throughout winter. Beautiful creamy-white, highly fragrant flowers appear in spring and are followed later by red berries which ripen to black. Plant the Viburnum in full sun or partial shade and in any fertile, well-drained soil. 10. Cyclamen hederifolium. French name: Cyclamen de Naples. Delicate pink or white flowers push through the ground in October and November to add a carpet of colour to the autumn garden. These cyclamen have lovely marbled, heart-shaped leaves which often appear after the flowers and will last throughout winter. Happy in partial shade or full sun, plant the flower en masse for maximum effect. 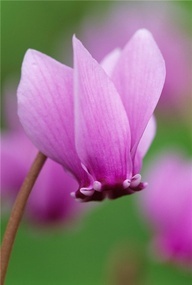 These Cyclamen are perfect for planting beneath trees or deciduous shrubs. 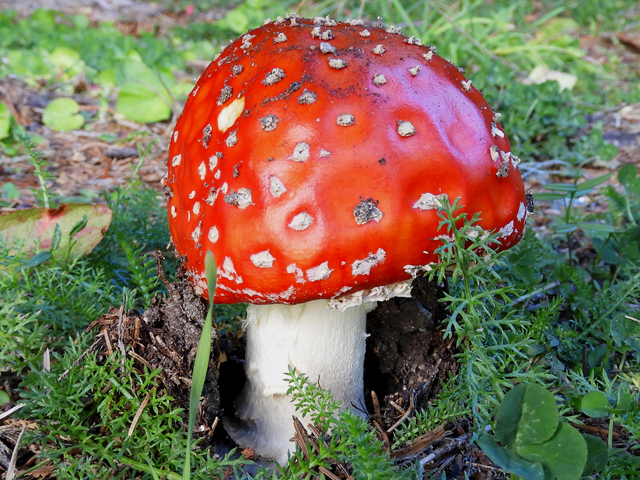 If you have any plants which are currently adding beautiful colour to your autumn garden here in France, please do share them with us all by using the comments box below. Scarlet stems against the white of snow, one of my favourite winter combos. It’s a very hardy plant, so will be totally fine down to -4, and it’s best planted in full sun, and won’t mind your temperatures. Your blog is so beautiful! My mom is an avid gardener in California, so I can appreciate someone who cares about the seasons and the beauty of nature! Love your photos, and I know so many people can benefit from your gardening expertise!